I had read some blogs posts about the new smooth streaming capabilities for IIS 7.0, but I never actually experienced them myself. 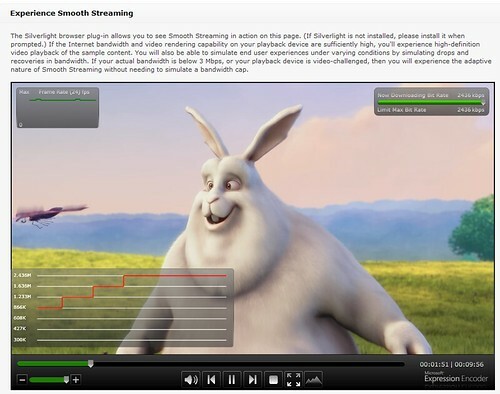 IIS Smooth Streaming is a technology that works with Silverlight in delivering a smooth video playback experience from Microsoft Internet Information Server in circumstances with varying network bandwidth. It also works with the Linux variant of Silverlight called Moonlight. Check out Miguel de Icaza’s blog for that. Posted in IIS, Silverlight on May 5, 2009 by Erwyn.